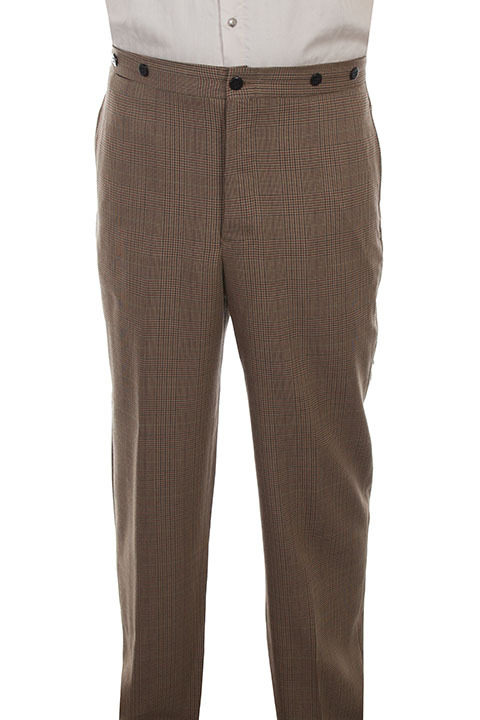 These distinguished plaid pants feature a button fly and two side entry pockets. The back has two open pockets and an adjustable back strap with buckle. It also has suspender buttons. A nice comfortable weight for year round. 45% wool and 27% polyester.